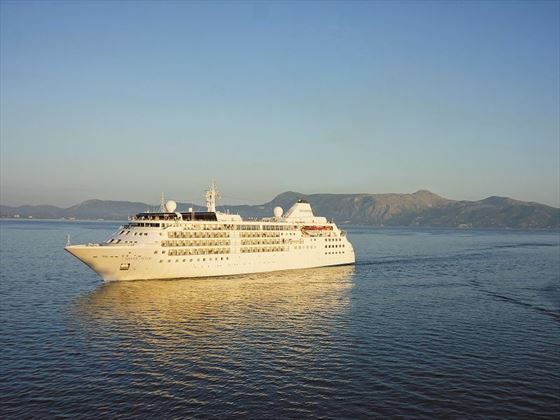 The ideal cruise perfectly blends intimacy with luxury - something that the Silver Wind cruise ship does incredibly well. 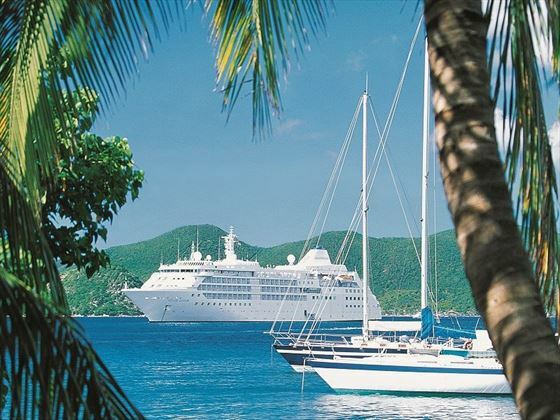 Elegant and sophisticated, you’ll find plenty of little personalised luxuries on this luxury ship, from beautiful ocean-view suites, to friendly waiters making sure you’re never left with an empty glass. Every suite has a gorgeous view of the ocean from their veranda, and with absolutely everything included – including gratuities and room service – all you need to do is sit back and relax. Silver Wind ensures that your experience is truly personalised and special, with no worries in sight. 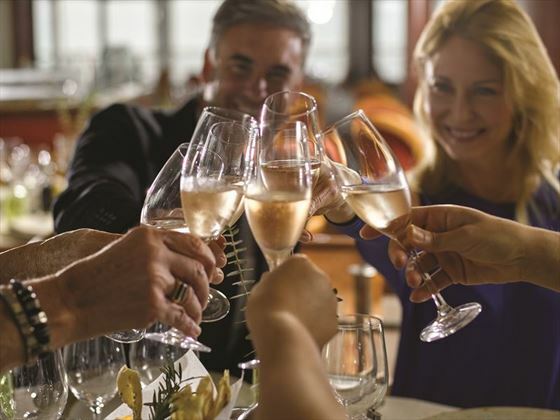 Restaurants range from laidback buffets, to fancy tasting menus paired with opulent wines, and the multiple lounges provide a range of spaces to relax and enjoy each other’s company. 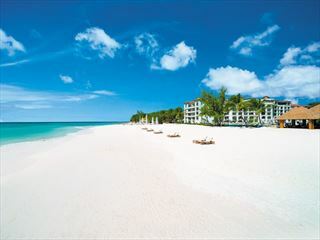 There’s even a swimming pool, fitness centre and beauty salon to enjoy in between visiting exotic destinations, and the ambience here is wonderfully sociable. 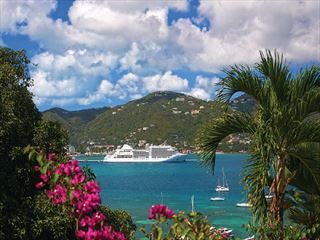 Our Barbados & Silversea cruise is an unforgettable way to explore the Caribbean’s tropical islands, including three nights at the luxurious Cobblers Cove. 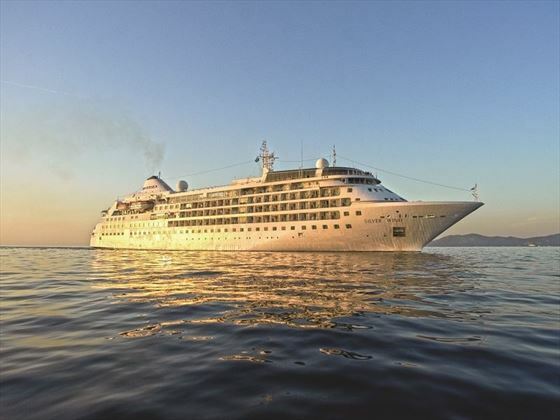 Silver Winds is also available for sailings from Fort Lauderdale and San Juan on various dates, please contact us for more information. Classic Veranda Suite – A standard one-bedroom cabin featuring the standard amenities, plus one hour of complimentary internet access per guest per day, and two twins or one queen size bed. Super Veranda Suite – With the same amenities as before. 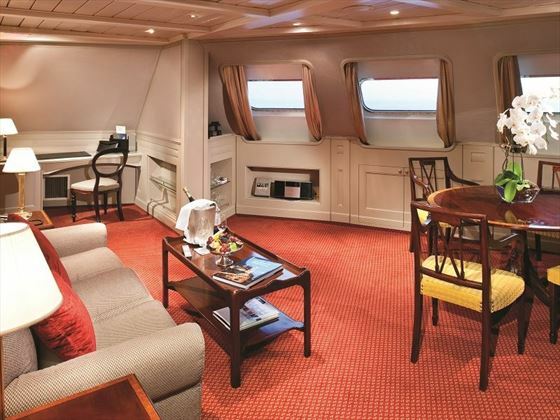 Deluxe Veranda Suite – With the same amenities as before, this time located in a central location close by to the ship’s restaurants and facilities. Silver Suite – Available as one or two bedroom configurations. Features a living room with convertible sofa, a separate dining area, two twins or one king size bed, and unlimited complimentary internet access. Sleeps up to five guests. 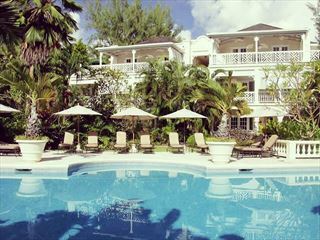 Royal Suite - Available as a one-bedroom configuration, or two bedrooms by adjoining with a Veranda Suite. Features two verandas, a living room with sofa bed and sitting area, separate dining area, two twins or one king bed, and unlimited free internet access. Two bedroom configurations also include an extra veranda, sitting area, two HD TV’s, and two twins or one queen bed. Grand Suite Deck 8 – Available as a one-bedroom configuration, or two bedrooms by adjoining with a Veranda Suite. Features the same amenities as the Royal Suite, but larger in size. Grand Suite Deck 9 – Available as a one-bedroom configuration, or two bedrooms by adjoining with a Veranda Suite. 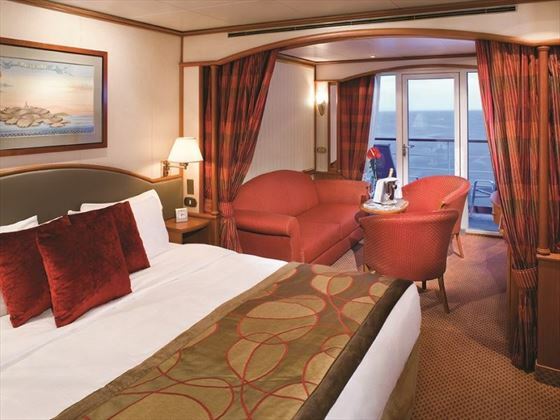 With the same amenities as Grand Suite Deck 8, this time on the top level of the ship and slightly smaller in size. Owner’s Suite – Available as a one or two-bedroom configurations. Features a living room, two twins or one king bed, and unlimited free internet access. Two bedroom configurations also include an additional sitting area, two twins or one queen bed, and a bathroom with shower. Pool Bar & Grill – A casual restaurant where you can enjoy light breakfasts and lunches – including fresh oven pizzas and grilled meats. 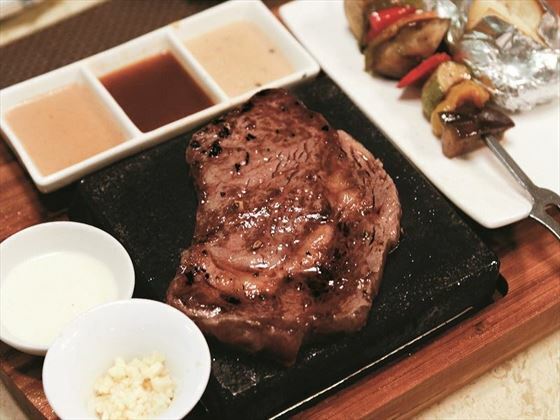 In the evenings, a preheated volcanic rock is brought to your table, so you can cook your meat and seafood exactly to your liking whilst enjoying panoramic views of the ocean. 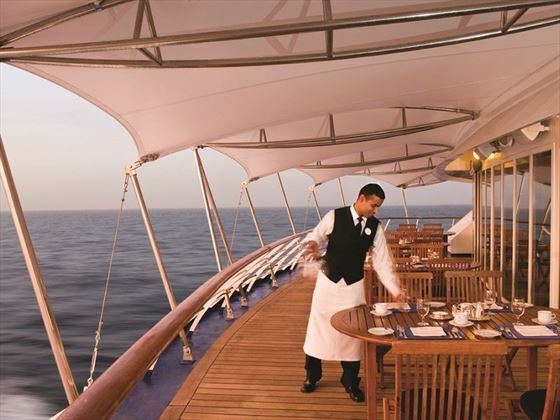 The Restaurant – A fine dining restaurant serving opulent international cuisine, with menus featuring regional specialities inspired by the ship’s voyage destinations. Le Champagne – The only Wine Restaurant by Relais & Châteaux at sea, offering a lavish evening full of fine wines and a six-course set tasting menu of regionally-inspired cuisine. Connoisseur’s Corner – A cosy lounge area serving great cognacs and a premium selection of cigars. Panorama Lounge – Marvel at the ocean views at this comfortable lounge, offering afternoon tea, complimentary drinks, and live music. The Bar – A social venue serving complimentary cocktails, live music, and a dance floor. 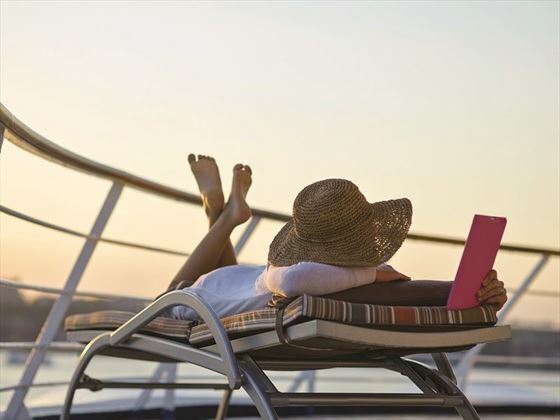 All food and drink are included when on board Silver Wind, including room service, selected wines, premium spirits and all gratuities.